With the deadline for submission of their final lists looming, Eli Yishai and Naftali Bennett were racing to complete their candidate slate. With the deadline for submission of their final lists just hours away on Thursday afternoon, political parties are going through last-minute gyrations to fill out their lists – or to ensure that the representatives already on their lists don't back out at the last minute. That is a scenario that Eli Yishai's Yahad Party was experiencing on Thursday, as Yoni Chetboun, a charter member of the party who joined Yishai when the latter split off from Shas last month, threatened to quit. According to sources, Chetboun is upset that members of the Otzma Yehudit party – namely former MK Dr. Michael Ben-Ari and activist Baruch Marzel – will be included in Yishai's list, or would run together as a single faction for the purposes of the election. Talks between Yishai and Ben-Ari broke down Tuesday, after Yishai said that he would not include lobbying for Jewish access to the Temple Mount a part of his party platform, due to the opposition of Sephardic rabbis like the late Ovadia Yosef and Chief Rabbi Yitzchak Yosef to such access. However, it appears that the talks have been revived, and earlier Thursday, Marzel said the two sides were “close” to a deal. But Chetboun still opposes Otzma Yehudit's inclusion on the list, even if, as Yishai demands, they hold off on calling for Jewish prayer on the Temple Mount in the name of the party. According to sources, Chetboun is concerned that the inclusion of the charismatic Ben-Ari and Marzel will focus the attention on their agenda, instead of on the rightist-religious agenda Yishai offered him when he signed up. If the focus of the party changes, Chetboun feels, he will not have a home with Yishai, and would prefer to resign rather than be part of a group he does not feel comfortable with. Chetboun and Yishai were meeting Thursday afternoon to see if they could work out their differences. Chetboun's threat follows in the wake of the decision by Rabbi Moshe Hager, who earlier this week announced that he, too, had decided not to run with Yishai. Also scrambling to finish his list was Jewish Home chairman Naftali Bennett, whose number eight slotted candidate, former soccer player Eli Ohana, dropped off the list on Wednesday. Bennett reportedly offered the party's number 20 candidate Dani Dayan a slot further up the ticket, but the latter has turned Bennett down, reports said Thursday. Jewish Home said in a statement that Dayan had informed Bennett several days ago of his resignation, because he felt he had not been slated for a “realistic” slot on the party's list. According to reports, Bennett offered Dayan 17th place on the list. The Likud, meanwhile, is ready to submit its list, with the inclusion of former minister Benny Begin on the list. 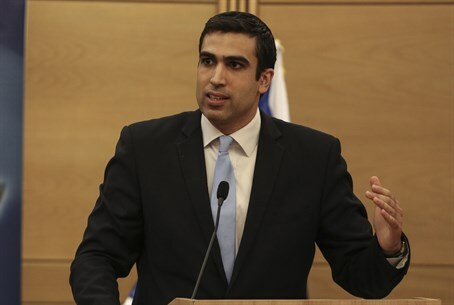 Begin has been appointed to the eleventh slot on the Likud list, reports said.